Dr. Raye-Anne Ayo always appreciates feedback from her valued patients. To date, we’re thrilled to have collected 19 reviews with an average rating of 4.95 out of 5 stars. Please read what others are saying about Dr. Raye-Anne Ayo below, and as always, we would love to collect your feedback. Very professional with such a great staff!! Welcoming you along the way with little to no wait time at all!! I can’t thank you guys enough for such great hospitality! I have never sat with a doctor for over 20 minutes. Dr. Ayo say with me for over 45 minutes, and I am so thankful for her! Very professional, listened to my concerns, and was able to work me in quickly. It’s always a pleasure to see Dr. Ayo and her staff! They are all very friendly, professional and caring! I appreciated getting a convenient appointment, not having to wait long to be examined, and receiving a clear assessment as I was examined. I like the features in the Patient Portal to keep me informed without having to have paper files at home. Dr. Ayo and her staff are the best!! I just established care with Dr Ayo. Very professional and comfortable environment. Dr. Ayo is the most caring, compassionate, and knowledgeable physician I have ever known. She is very interested in my medical needs, and she is an excellent listener. The members of her staff "mirror" her approach to her patients, as well. 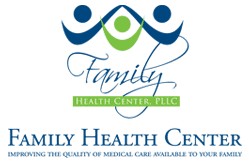 I have nothing but wonderful things to say about the Family Health Center. I have been a patient of Dr. Ayo's for several years, and I am confident that I am receiving the best healthcare in the area. She brings tremendous medical knowledge to include continued investigation into new diagnostics and treatments, she listens intently, and she honors my values as her patient. Thus, for me, she takes a holistic approach before traditional interventions are implemented. I know I enjoy better overall health because of her. I was diagnosed with an upper respiratory infection. The medication I needed was called in and have an additional 10 days of meds. I am good to go. Dr. Ayo is extremely nice, and her office is very attentive if you call with a question. Dr. Ayo is amazing. She takes the time to really understand you and your health history. In doing so, she surpasses the typical physician by going beyond treating symptoms to treat root causes as well. She and her staff are friendly and courteous, the facility is pristine, and they keep wait time to the lowest I’ve experienced in town. You can also sign up for her amazing concierge service for you and the kids! She is conveniently located near Farragut High School. I cannot express how highly I recommend her!!! Excellent experience. I would recommend Dr. Ayo to anyone.